Local Hive™ from Rice’s Honey®, a leading producer of high quality, U.S. only raw & unfiltered honey since 1924, wants to help you put the twinkle into your holidays with their locally produced honey varietals. 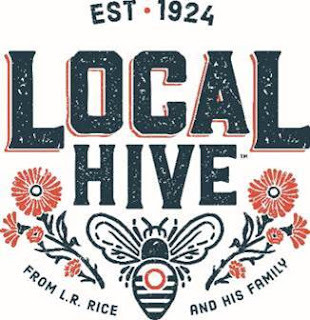 Perfect for your holiday table and every day, Local Hive from Rice’s Honey offers 16 different local varietals of raw honey honey including Local New England, Local Northeast, Local Florida, Authentic Clover & Authentic Wildflower. With your loved ones gathered around the table, whether it’s for a comforting hot drink during the cold days of winter or to enjoy your favorite Christmas cookies, the taste of real honey from Local Hive™ will help you create fond memories. Raw, unfiltered honey also offers many health benefits including being rich in antioxidants, vitamins, minerals, amino acids, enzymes and pollen. 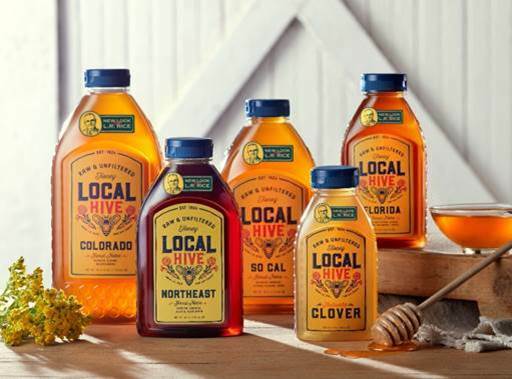 Unlike processed unnatural sugars or sweeteners, Local Hive™ honey offers transparency, as each natural varietal is made so local it’s “made right in your own back yard”. Very similar to wine, where you taste and see the difference between varietals, Local Hive™ from Rice’s Honey® also imparts specific flavors in each of the honeys they produce. From Washington to Florida each varietal is unique. *Flavor is bold and robust. Northeast honeys are much darker than anywhere else. *Flavor is a bit fruity with a hint of spice. *Flavor should be light & sweet. The sweetest of all honeys sent. *Flavor is medium bodied and sweet. Not as sweet as Colorado. I tried four flavors of Rice's Raw & Unfiltered Local Hive Honey: Two from the Great Lakes, Northeast and Utah. With each one you could definitely taste a difference in the flowers used by the bees to make the honey. It is definitely some of the best, if not just about the best, honey I have ever had (my ex-husband is Greek and the best honey I had was what my ex sister-in-law made from her bees in Greece). But this is just about the same. You can actually taste the flowers. That is what is so wonderful about it. The one from Utah has Alfalfa, Clover and Wildflower. It is floral and tastes sweet but with a hint of orange and is very sweet. I think the alfalfa makes it taste orangey like that. I notice a trend with the alfafa ones. Clover also adds that sweetness too. Prices vary by region of course. I don't have any prices for you at this time. But this makes a wonderful gift to give, especially in a gift basket filled with yummy winter items like tea, honey, coffee, cookies, hot cocoa, etc. So get out and get some honey. It works great for the common cold. Use it in tea to help soothe the throat. My doctor always recommends it for me when I have a sore throat.